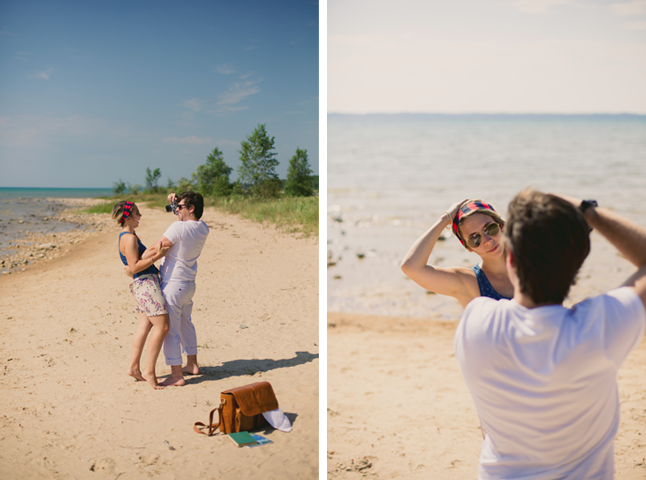 Remember last week when I mentioned we were off shooting some things for the blog? Well today you get to see what our team of talented people were working on. Thanks to Cory Weber, Jonathan Grant, and Margaret Barley for making Mike and I’s vision for our collaboration with Kelly Moore come together. 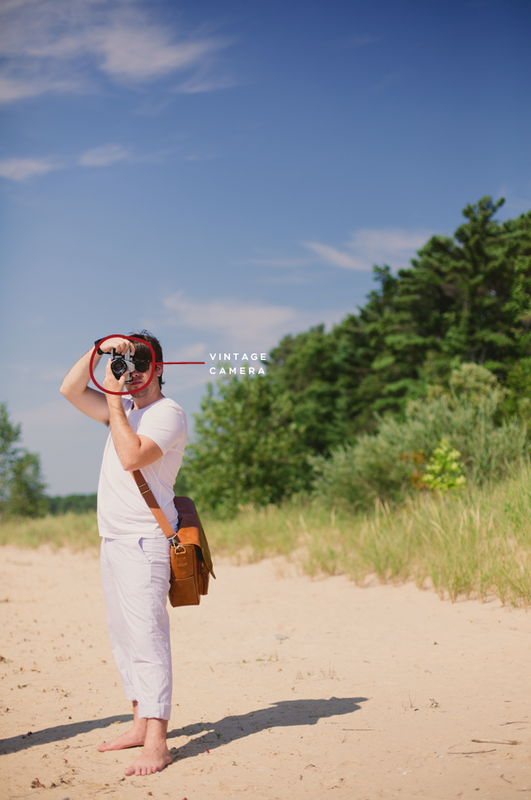 Kelly Moore is one rad company creating stylish and versatile bags for photographers and creative and throughout this series we get to show just how we use Mike’s bag own Kelly Moore bag. Jonathan killed the styling of these shoots and was super inspired by the options the bag offered in terms of styling. Over the next 3 weeks on Tuesdays I will be sharing our collaboration with Kelly Moore and giving you a peek into Mike and I’s lives as creatives in northern Michigan. As some of you may not know when Mike is not a designer he is a photographer working for Weber Photography. We get to shoot weddings on the weekends and be creative in other ways than just behind the computer (always so refreshing), which we love! So it seemed perfectly natural to partner with Kelly Moore on these 3 posts. The bag has been the perfect companion for everything we do as a couple in almost any situation, and since having the bag it has gone almost everywhere with us. 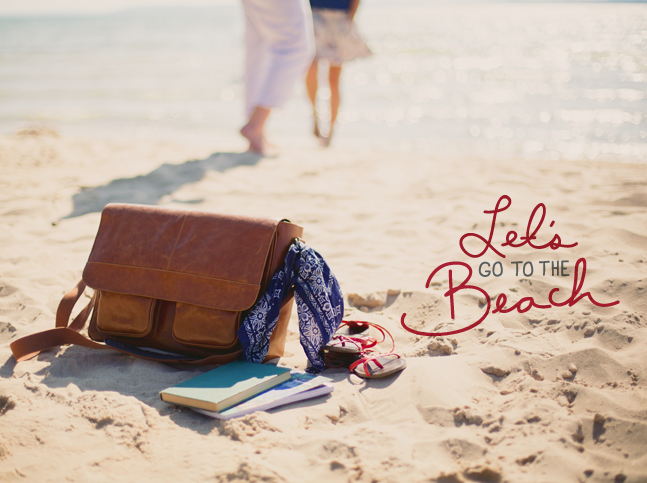 It only felt right to begin this series with one of our favorite things to do in the Summer; go to the beach. 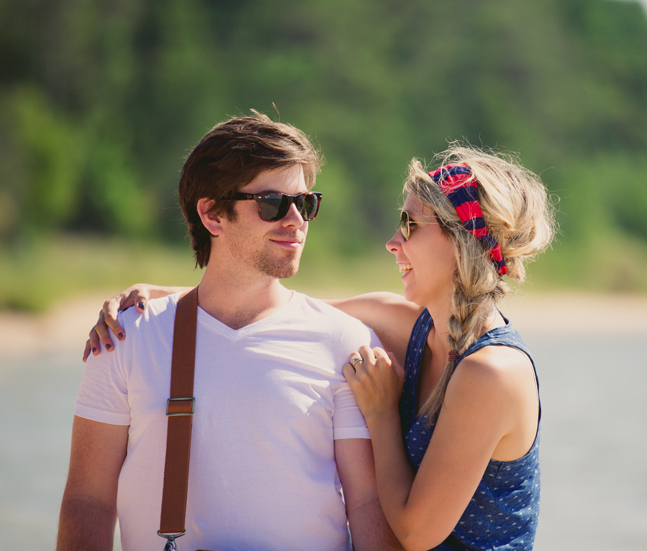 We love taking quick trips to relax and spend some quality time together along the serene shores of Lake Michigan. It is always simple and low-key and we always have a camera, whether it be our iphones, our vintage cameras, or our Canon. The beach is always our first choice when thinking of a relaxing day off from work in the Summer. Even if it is only 20 minutes and a late evening stroll together, it never fails to be beautiful and perfect. 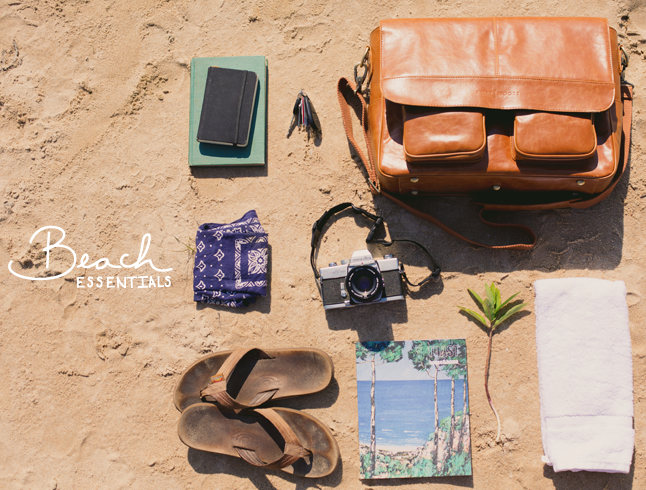 These are our essentials for a casual evening on the beach what are yours? We never leave the house without a camera, magazines for inspiration, and a notebook to jot down new ideas. You never know when inspiration will strike and it always comes when you least expect it! Catch more unique photos from this shoot over on the Facebook page. Thanks a million for letting me assist! Sigh…gorgeous. I need to get in the car and drive toward northern Michigan. So serene, so beautiful. 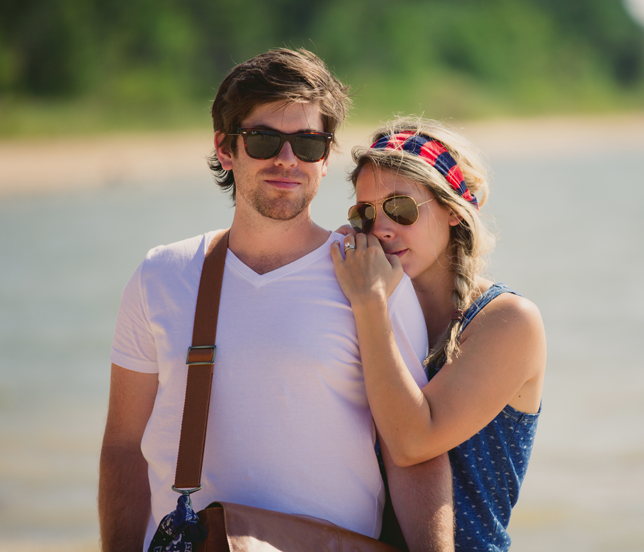 I can’t wait to see your favorite places to grab a nibble, because Traverse City has some great spots. These pictures make me want to go to the beach!!! !